Advice on finding a job is readily available, but it all tends to say the same things. Here are some tips that you might not have heard, from the point of view of a recruiter. Understanding exactly what type of job you’re seeking is vital. Without a specific idea of the role you’d like, you’ll be searching job boards for hours without anything standing out. You won’t be able to market yourself properly towards any specific job and it’s likely you’ll be unable to sell yourself well if you get offered an interview. Decide whether you’re looking for contract or permanent work, whether you’re looking in a specific area or you’re available to relocate and exactly the salary you’re aiming for. Not only will this help you narrow down the thousands of vacancies to a shortlist you can manage, but it will also assist recruiters in placing you into what they have available. Find your market and immerse yourself within it. It’s always useful to know current news, trends and be generally knowledgeable in the field you’re looking to work within. Create a profile and upload your CV to job sites such as Monster, Reed, CW Jobs & Jobsite. Recruiters use these websites to find suitable candidates for their roles. It’s a good idea to keep up with current trends in your field as interviewers may ask about these or you may find jobs through them. 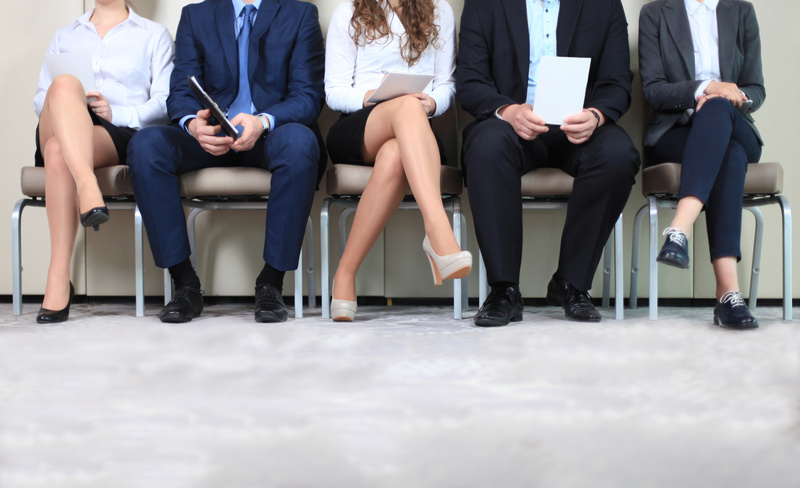 Recruitment agencies are there to place you in a job, so use them! They’ll be recruiting for a number of roles and will always consider you if you get in touch. They’ll even keep you in mind for other roles if the one you’re interested in isn’t suitable. Find a recruitment agency that specialises in your field. They’ll have jobs that are relevant to you and will understand your past employment and skills. Recruitment agencies can offer advice on everything from your CV to what salary you should be looking for. If you have any questions about searching for jobs or your career, don’t hesitate to quiz them. It’s in the agency’s best interest to get you as high a salary as possible so make sure you leave salary negotiations with employers to them. Be honest and direct with recruiters. They’re there to help you, and not explaining your intentions can get in the way of a successful placement. Recruiters can’t guarantee interviews or job offers – that’s up to the client. Make sure you ask them for feedback however, and hopefully you can improve your chances! If you want to be at the forefront of a recruiter’s mind, make sure you keep in touch! A call or email every week or so will go a long way towards ensuring you’re considered for any new roles. If you’re a contractor or know you’ll be searching for a job soon, it’s worth dropping recruiters an email to let them know you’ll be on the market soon. LinkedIn can be a useful way to present a profile of you and your work. Many recruiters will find you using LinkedIn. You might have heard chatter about personal branding and glassed over how important it might be. Your personal brand isn’t just how you present your CV, but also encompasses your online presence and how you approach applications. Analyse your social media profiles (every single one!) and remove or privatise anything that might harm your search. This can include bad photos from that drunken night in Malaga, personal posts that you would rather only your friends saw, and unprofessional usernames, profile pictures or contact details. Check how your social media profiles and online presence looks to a prospective employer. You can ‘View As’ on most sites to see how your profile looks to the public and distant connections. It’s worth googling yourself (if you don’t come up, try [Your Name] [Your Location] or [Your Name] [Your Occupation]) to see if the search engine is linking to any old profiles or holding any bad pictures of you. Don’t be afraid to make your profiles private – it’s not a bad sign if a recruiter can’t find anything on you! If you know exactly the types of roles you are searching for you can more effectively sell yourself. This is because you’ll be able to describe your skills in more detail and keep them relevant to the job in question. Make sure relevant experience is prioritised and written about in detail. Other experience can be made relevant by exploring any transferable skills that might be applicable to the role. If you’ve got LinkedIn, make sure your summary says exactly what you’re looking for. You can have a short headline sentence and then go into more detail about your experience below, but be aware that most recruiters will just read the first few lines. Interviews can be daunting but remember the employer wants to fill the role as much as you’d like to be the one to fill it! Although we could write articles and articles on tips for interviews (here’s one! ), there are some that you might not have encountered before. The majority of employers will appreciate your personality just as much, if not more, than your experience and skills. Make sure you let it shine through and you’re not just another robot looking for a job. You should already be researching the company, but it’s also a good idea to research your interviewer too. Look for them on the company website, on LinkedIn and through google. You might find out they share a common connection with you that you can bring up to build rapport, or you might be able to suss out how they might conduct an interview (eg. do they seem casual and friendly or formal and authoritative?). The importance of asking questions yourself cannot be ignored. Make sure you’ve prepared some, such as these and you’ll leave a lasting impression. Know when to be quiet. The interviewer may want to guide you to a new question and your long winded answer is stopping them, or they may ask a difficult question where a short pause before answering will make you seem more prepared and confident. Follow up with a brief thank you email. This doesn’t just show good manners but also that you’re interested in their response. At IT Talent we’re always keen to help. If you’d like some career advice, jobsearch tips or want to hear about our latest vacancies, email enquiries@it-talent.co.uk or call us on 01189 526060 (Reading) 0207 220 1600 (London). We also post plenty of tips and advice over on our twitter!